i think those are the current tires sizes on them. Last edited by jonathan tran; 02-02-2019 at 07:33 AM. I don't believe that the $MATIC suspension and drivetrain is set up for Staggered configuration. The 19" part you might get away with but probably NOT the staggered. Fronts looks close 245/40R/18 normal and 245/45/R19 on this set. Too bad this set looks like a good set of rims. I might have tried this if I didn't get my Enkei Hajain's from Tire Rack and Michelin Pilot Sports. This set looks good for RIMS only. I prefer Michelin's but if this set had decent tread I wouldn't toss them. You can run staggered on 4Matic. You just need to keep the circumference, rolling rate very close from front to rear. E63 is 4Matic staggered, I run staggered setup on my E550 4Matic in the summer. It is Rounds Per Mile that maters in staggered tires matching. MB never gave solid tolerances, but experience says that ESP will accept 3% differences and then a discotheque on the cluster start flashing. Now with all those threads about cracks on 18" wheels why somebody would like to put 19" ? Got the stock 18s currently and no cracks just a lot of curb rash thanks to the wife. Been wanting rims for a while now and wanted something a little bigger. After a lot of searching that tire size won’t fit my car. 245/35/19 front and 285/30/19 rear or 275/30/19 rear are my choices for staggered. Talked to the guy I’m able to pick up the wheels only for 500. Just got to drive 3 hours to pick them up. How are the Michelin’s Pilot Sports A/S 3 versus the new Continental ContiProContact? John, I have only had the Pilot Sport's on the E350 for a little over 200 miles but based on previous vehicle and reports I have high confidence in their reliability and durability. One drawback that I didn't expect is when on staggered wheel set ups the mileage treadwear warranty drops to half (22.5K instead of the normal 45K) Costco stands by them and even though the treadwear warranty may be expired as they see it...If their is legal tread they will patch/plug and repair as able. I never had Continentals my buddy in PACNW had them for his Taurus SHO and seemed to have good results. His only reason for the P/S was a contractor in a hurry to catch a flight at PDX dropped a box of roofing nails. The company owner fessed up but no Continental DWS available. They paid for a full set of P/S 3's and he was happy. I switched to them after my Eagle F1's had cord showing at state safety inspection. Automatic Fail, once they see cord, they stop right there. Usually caught before charging in fact in my case it was caught before any paperwork was started. I got a new set of Enkei rims from Tire Rack and they fit nice. Flared out a slight more than I am used to but aggressive and sporty looking without being over the top. I am not good at photos on this forum yet but if you send PM with email address I can send some. 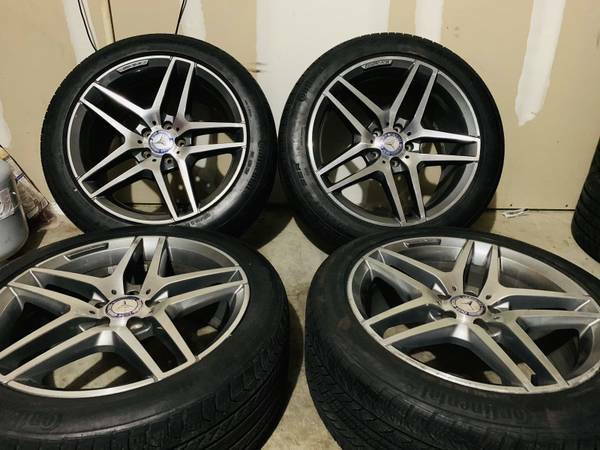 Set of four Enkei Rims 18" for just a tad north of $960 including tax, S/H. Tire Rack has been very good to me over the years, they notified me of damage on one of them during warehouse inspection. They shipped from another warehouse and arrived within a day or two of the original order. No immediate rush because I was waiting for the Pilot Sport's to arrive at Costco. Tires arrived, Costco Install took about 90 minutes NTB alignment a couple of days later took about 45 minutes and I am on my way. I took advantage of the .01 per tire installation at Costco so the $70 Michelin instant rebate and the .04 installation was a good selling point. The only major curveball in the budget was the TPMS Sensors. I went all new rims, tires, TMPS sensors and alignment. Take a Guess at Costco price for TMPS Sensors...…..waiting.....waiting.....wait for it...….$44.00 each. I hate to ask what dealer cost would be. Yes almost $2000 for tires, rims and TMPS sensors but I was able to save $150. I had a alignment package from my Taurus SHO, five year nationwide plan. I still had two years left and the plan allowed a ONE TIME transfer to another vehicle. Guess who saved $150 at NTB yesterday......This Guy!! Yes, 0.1% is basically identical diameters. I used 255/35-19 front with 285/30-19 rear (on former '14 E550), identical to E63s factory setup. The difference is 1% (or 0.3") which is what MB's tolerance is. No issues. Would 285/30/R19 rear and 265/35/R19 be within spec? 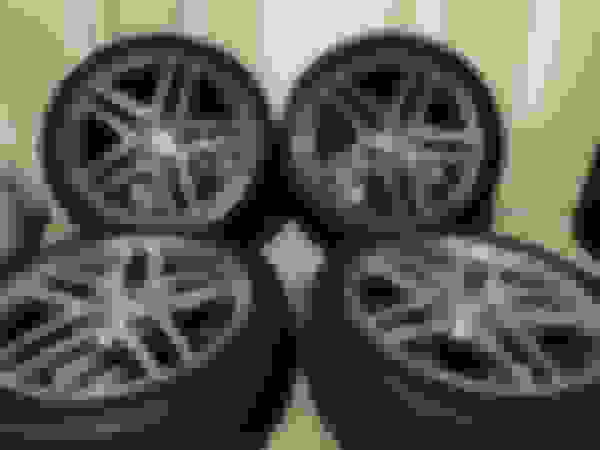 Looking at a set of wheels that came off a 2016 SL550. I'm currently selling some 18's for 2k per set. HRE wheels. Have two sets that would fit. Thanks. I guess I'll have to pass on them. How do you come to these calculations btw if you don't mind me asking? Would be helpful to know for later down the road as I shop around. There are many tire size calculators online. Plug your 2 tire sizes in here to compare specs between them. (((255 * 35) / 2540) * 2) + 19 = about 26.03"
And again, generic calculations with tires come with huge error as tires are manufactured with very loose tolerances. Only comparing rpm posted by manufacturers gives proper comparison.